Elk Island National Park is one of the best places to catch a glimpse of bison up close, but not many of the park&apos;s 200,000 visitors each year get the chance to see a bear. Wildlife researchers set up cameras in the park in the hopes of capturing photos of smaller animals. 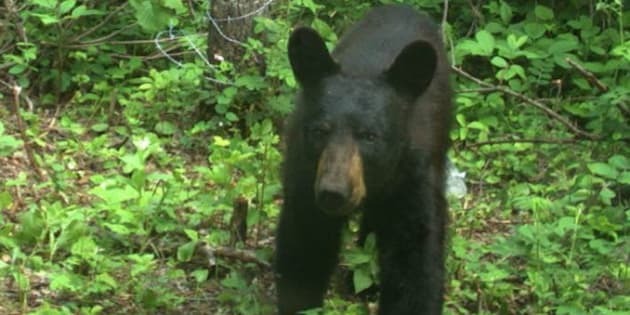 Instead, they got photos of black bears roaming the park, which is about 35 kilometres east of Edmonton. The cameras are part of the Moraine Mesocarnivore Project, a community effort put together by Alberta Parks in collaboration with Alberta Innovates, the Friends of Elk Island National Park and Beaver Hills Initiative. Martha Allen, Elk Island National Park’s ecologist, said although it’s uncommon to see bears in the park, it’s not unprecedented. Visitors are more likely to see bison, moose, deer and elk.